Tom’s of Maine and Oral Health America have just begun a super cute campaign! February is National Children’s Dental Health Month which was designed to raise awareness of the importance of oral health. They are inviting kids and parents to get creative in a fun way! 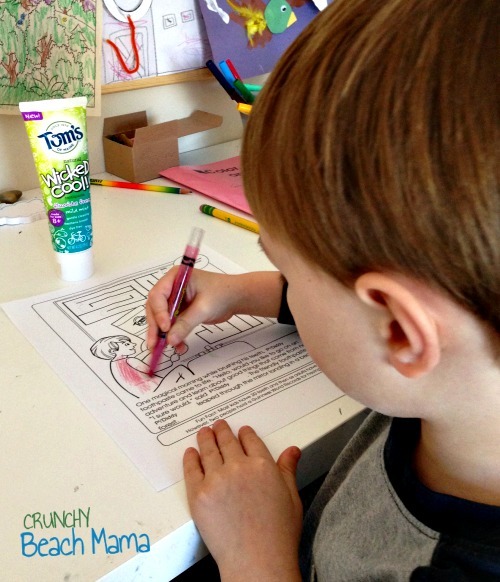 A new coloring book called Brushing Fun is available to download for free. It is 8 pages long and comes up as a pdf that you can easily print out. What makes it extra special is that you will personalize with your child’s name and the book tells a story with your child as the character. There is a maze, dot-to-dot, seek and find and other goodies as you read along with the focus on healthy habits. Now let me tell you the best part! 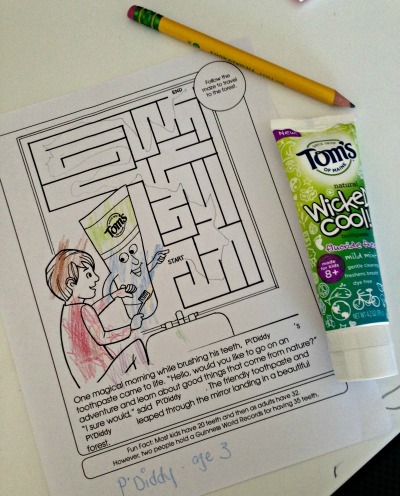 With each free coloring book download, Tom’s of Maine will donate 10 tubes of its Wicked Cool! natural toothpaste to children in OHA’s Smiles Across America program. How awesome is that?! Share one of your new colored pages and inspire others to get involved by sharing a photo of the completed page on Tom’s of Maine Facebook page or your own Twitter or Instagram accounts using the hashtag #NaturalSmiles. Please read official rules here. Easy? 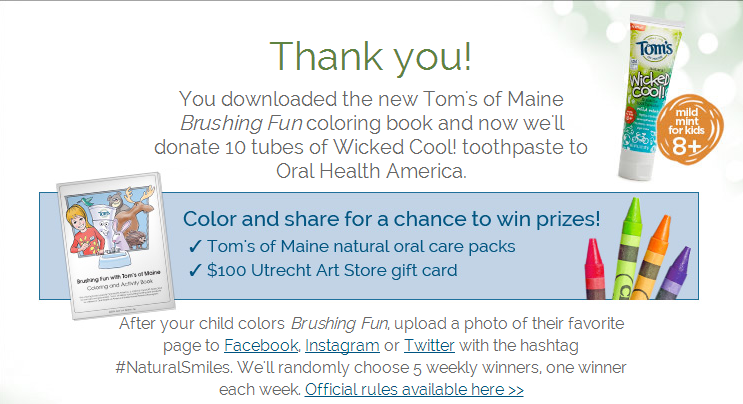 You will now have a chance to WIN a Tom’s of Maine natural oral care prize pack and a $100 Utrecht Art Store gift card to foster your child’s creativity. A Winner a week for 5 weeks! I am partnered with Tom’s of Maine and OHA for this campaign. 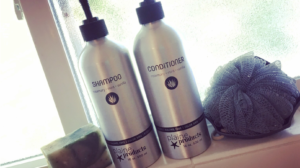 Radiantly You Organic Skincare Products Giveaway ~ 2 Winners! I love Toms of Maine - it's the only toothpaste that I've used in the last 20 years! It's great to see they're giving back, too. A wonderful company, many others could learn a lot from them. I love when companies like Tom's of Maine have great products AND give back--I really feel good about buying products from them. Thanks for sharing--wish more companies would follow their lead! What a great project to get the kids involved in. Love this post! Tom's of Maine is such a great company. I love companies that do more than sell products and really try to help others. I love when companies give back like this. Dental care awareness is such an important initiative, especially for kids! It's wonderful that they're giving back, but I'm sad that they use fluoride, sodium lauryl sulfate and carrageenan in this toothpaste. I personally don't want my kids exposed to those ingredients. I am hearing awesome things about the Tom’s of Maine products. Unfortunately they are not available in country where we reside at the moment.